In September 2013 I was, along with Shannon Lawlor, the lucky recipient to receive the Matthew George Young Stockman award. This Award was established in memory of Matthew George, a young man from Stockyard Hill near Beaufort, who was tragically taken in a car accident in November 2007 at 21 years of age. Matthew had an absolute love of animals together with a thirst for knowledge and a passion for breeding. Matthew’s dream was to travel overseas to study developments in beef cattle breeding and to bring this knowledge back to Australia to enhance our herds by sharing this knowledge with fellow breeders. 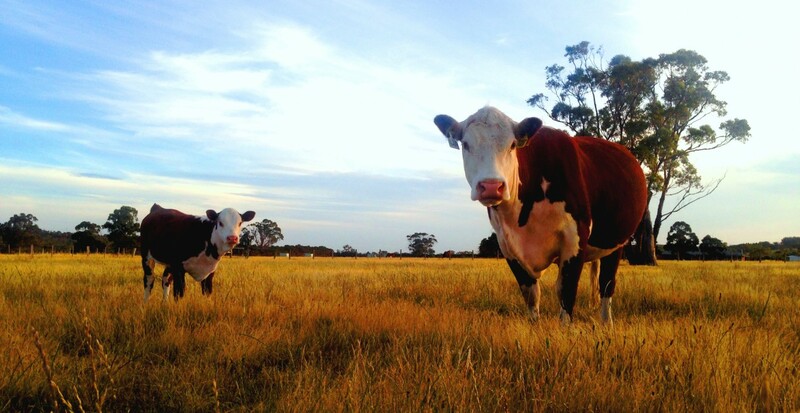 The Matthew George Young Stockman Award was established in September 2008 as a sub-fund of The Ballarat Foundation to allow young breeders, aged 18 to 25 years, the opportunity to live Matthew’s dream. In this same year on the same day in fact, I was offered a job at the Victorian Farmers Federation as a Livestock Project Officer. As this was my first job in my career after completing my Bachelors degree I put my career first and put the Scholarship on hold until 2015. Well the time has finally come and planning is in full swing for when I leave for Edmonton, Canada June 3rd. I am very grateful for this award and thank the George family, Lorraine and David for this life changing opportunity they have given me.